It’s time for the prom, spring dances and Mother’s day is just around the corner. Why not give a wrist corsage that is made from the heart. I posted years ago about this felt flower wrist corsage and I think it’s time for an update. This is how this wrist corsage came about: My son who is quite the artist and who likes to be original and unique, decided that he wanted to make his dates corsage for the senior prom. So we got out the felt and ribbon and had a fun late night experimenting. This is the felt flower wrist corsage we came up with. Sam embroidered the leaf. (Yes, this is my tough rock climbing, lacrosse playing, ski freak boy) You gotta love him! We sewed a nice black ribbon to the back of the flowers so you could tie a bow around her wrist. I wish I had a better picture of it. Turned out pretty cute, didn’t’ it? This was a fun easy project. 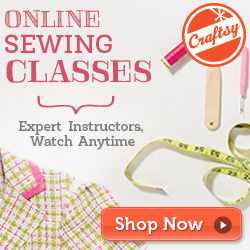 There are so many fun different flowers you can make with felt and fleece. You can get the patterns for all these flowers HERE in my ETSY shop. Instructions for the wrist corsage, brooch or pin corsage. Sew a pin to the back to make a brooch. Here is a FREE TUTORIAL on how to make some fun cone flowers from fleece. This is so beautiful! Great job! I would love to know how you make the white flower and how you attached them all together. I have some girls that want to make corsages for their mothers for Mother’s Day and these would be way better than real or silk flowers. I was just thinking I need to do that tutorial this week. I will get on it.